Christmas Gift Guide – What Are Your Rights? Christmas is nearly upon us once again, and most of us will have already bought presents to give to friends and family. Hopefully, you have chosen well, but spare a thought for recipients who may not like that vibrantly coloured jumper that you thought would have been suitable. If any of your purchases may need to be returned , it’s always wise to know your consumer rights. Surprisingly, unless you purchased your presents online, high street shops are under no legal obligation to exchange or refund a gift unless it was faulty when bought, is not as described, or is not fit for purpose. So if that jumper doesn’t fit you properly or someone just doesn’t like it, you have no automatic right to return it. However, most retailers do have a returns policy, which is totally independent of your statutory rights under the Consumer Rights Act 2015, and as a general rule, most high street stores do go beyond their legal duty. So if a gift is faulty, not as described or not fit for purpose, you are within your rights to take it back and ask for a full refund, as long as you do so within 30 days of purchase. It is worth noting that the person who bought your present has a contract with the seller, not the recipient of the gift. It is also a good idea, before buying the item, if it is for someone else, to tell the retailer that it is going to be given as a present so that the recipient of the gift will be able to bring it back. If you receive an item as a gift, you’ll need proof of purchase, and to know the date the gift was ordered if it was bought online. The best way to do this is with a gift receipt, which you can ask the retailer for when you purchase the item, and you can include this with the gift. Gift receipts do not show the price of the item. If you weren’t given one with your gift, you’ll need to ask for the receipt from the person who bought it for you. In practice, most high street stores do offer a 28-day returns policy, but for presents bought months previously there is less chance a retailer will take it back. If it does, it will probably require proof of purchase such as a gift receipt or, in some circumstances, a credit card or bank statement showing when and where the item was bought. Some retailers go beyond your normal statutory rights. For example, Marks and Spencer have a 35 days policy. Amazon has confirmed that for all items dispatched between 1st November and 22nd December can be returned any time before midnight on 31 January. For items purchased after 31 December, its returns policy reverts to the standard 30-day period. So, if having bought your Christmas present on the high street and the unfortunate recipient of that multi-coloured jumper decides to take the unwanted gift back to the store, it is legally allowed to issue you with a credit note, or it may exchange it, for something more tasteful! In some circumstances, it may offer a full refund, even if there is nothing wrong with the item. It all depends on each store’s returns policy. However, under the Consumer Rights Act (your statutory rights) if the gift is faulty or not fit for purpose it must offer a full refund, within the first 30 days, following the purchase. Fortunately, many retailers extend their returns policy to help early Christmas shoppers. If you want to avoid the hustle and bustle of the high street, you can always do your Christmas shopping online. With any purchases made online, you have additional protection in addition to anything the retailer offers. Under the Consumer Contract Regulations, you have 14 days from the date the item was delivered to cancel the order and return the item, even if it is just because you don’t like it. The retailer should refund you within 30 days of you cancelling the order. 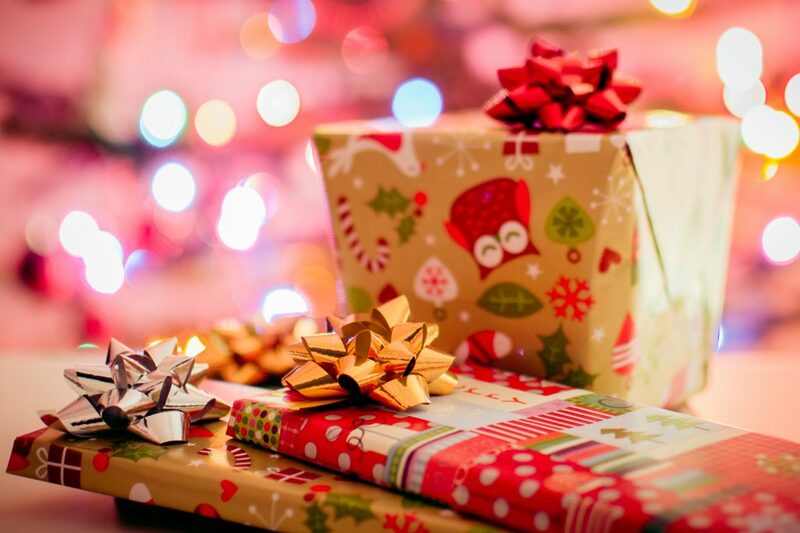 However, it is important to remember when buying presents on-line, that under the Consumer Contract Regulations there are certain items that cannot be returned. CDs, DVDs and software (where the seal is broken), perishable items, like flowers and personalised goods are not included. If you buy from the website of a company based in another EU state you should have the same statutory rights as if you had bought from a UK seller, although if you return the goods you may have to pay for return delivery to an overseas country. As with returning all goods, always make sure that you retain the original packaging. For additional protection, it is always advisable to make the purchase using a credit card, as this will automatically give you additional rights to make a claim against the credit card company, should the item be faulty, not as described or not fit for purpose. Finally remember that when buying goods from a high street store, or on-line that your contract is with the retailer, not the manufacturer. So don’t let them fob you off. Yes, the item may come with a manufactures guarantee, that will give you say a 1 or 2 year guarantee, but your statutory rights are against the retailer and/or credit card, if a credit card is used and the value of the goods is between £100 and £30,000. Do don’t be caught out by the retailer , arm yourselves with the above facts , which we hope you will find helpful. If you don’t get the satisfaction you feel your entitled too from a retailer over the Christmas period we can help you with this, please get in touch. In the meantime may we wish you a Happy Christmas from all of us at here Sarah Waddington Solicitors and all the very best for 2018. Home » Christmas Gift Guide – What Are Your Rights?